Marrakech’s Medina is home to some of the most stunning riads in all of Morocco. From traditional zellige (hand-crafted painted tiles) and Arabic calligraphy lining the walls to opulent gold and brass fixtures decorating the salons to even a modern, clean-cut esthetic that features minimal décor and lots of white to make the space peaceful and bright. There are so many kinds of stunning Marrakech riads you could choose from to stay at during your vacation (it’s true there’s something like 1000 riads in the city!). How do you pick the best riad in Marrakech? 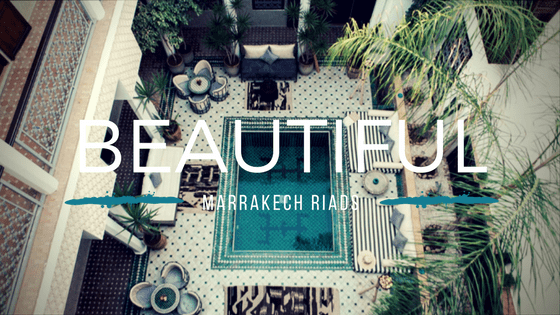 We pulled together 15 of our favorite riads, in no particular order, for you to check out for yourself. Riad Yasmine 209 Rue Ank Jemel, Bab Taghzout – Medina / Marrakech. Yup, Riad Yasmine is THAT riad with the iconic Instagram-popular pool! 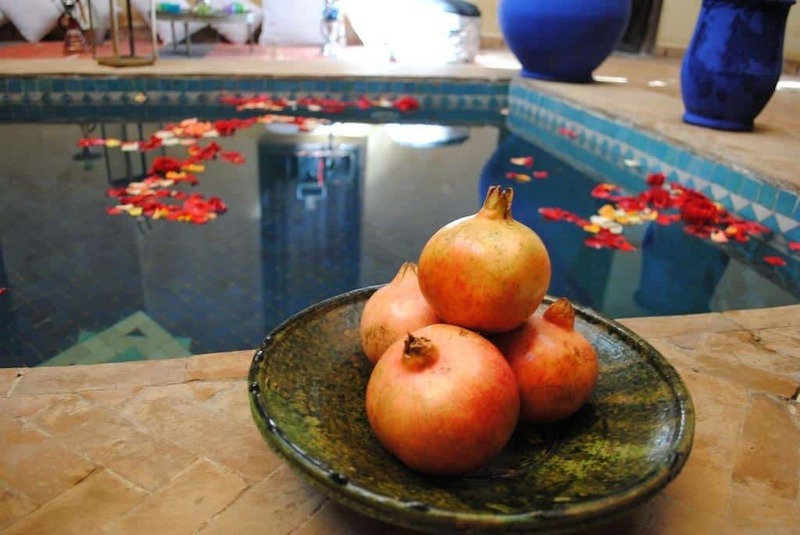 And that beautiful pool is only one of the relaxing perks that this wonderful riad offers. Spend time lounging on the rooftop terrace where you can drink in amazing views of the busy medina and more! Or curl up with a book in the comfortable reading nook – especially nice when they light the fireplace on chilly days. And you will love the traditional patio that offers a peaceful plant-filled paradise where you can escape from the world for a while. Riad Yasmine offers eight beautifully decorated rooms, each featuring a private bathroom, sofa, free wifi, air conditioning, and more, all to ensure that you will have the most comfortable stay imaginable. Keep in mind this riad is usually very full due to the online popularity it has seen so you’ll want to book early. Starting prices on rooms range from 90€-125€. For five star comfort in the medina look no further. 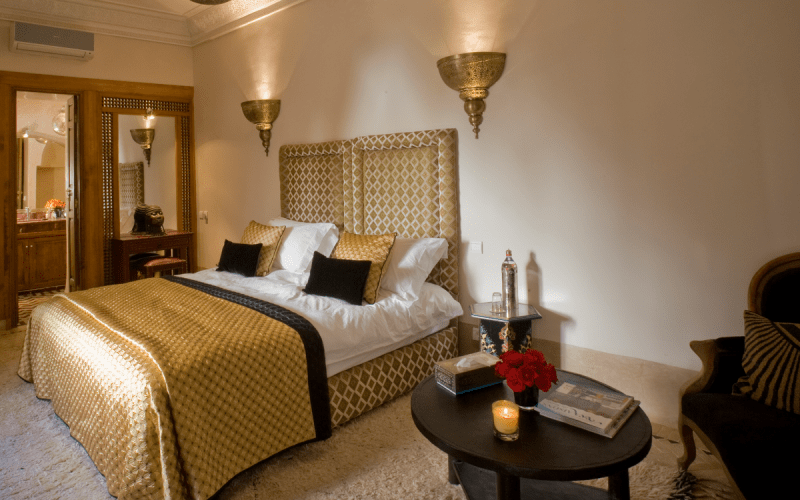 With 10 luxury suites to choose from, you are sure to find the haven of your dreams at Riad Farnatchi. Each beautifully decorated room features comfortable beds with Egyptian cotton sheets, central heat and air, on-demand movies and satellite TV for those times you desire a little entertainment, and so much more. The decor alone will tantalize your eyes while relaxing your spirit. This gorgeous riad is a great place to escape from the noisy world and spend some quality time with the one that you love. Bask in front of your fireplace or relax on your own private balcony until you are ready to head out into the world again. 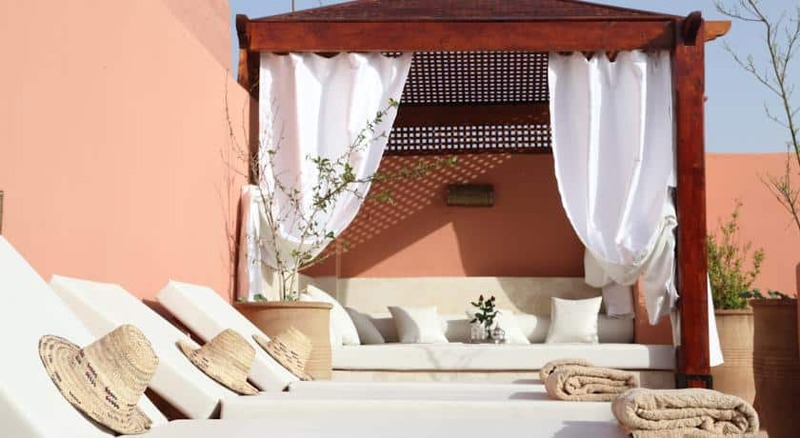 The Riad Farnatchi also boasts a great spa and both dining in the riad as well as across the street at their restaurant Le Trou au Mur, so be sure to include them in your travel plans, as well. Starting prices on rooms average 200€-300€. This riad borders on a boutique hotel for us as it has more rooms than your typical riad but we love it for its cozy feel and excellent staff. Contemporary and modern, it offers ten beautiful rooms and has a very light feeling. Located near the main square of the medina, the Riad Adore is a tranquil escape from the crowds. Newly restored, this riad has a luxurious feel – from the decor to the first class service. There is a rich feeling of history and tradition combined with all the modern amenities for your comfort. Rooms feature WIFI, heating and air conditioning, quality bedding, TV, DVD, private safe, complimentary mineral water and much more. Rooms are so lovely and relaxing, you may be tempted to just stay there, but there is so much more to explore at Riad Adore. Head to the rooftop spa for a relaxing massage, beauty treatment or pay a visit to the hammam. 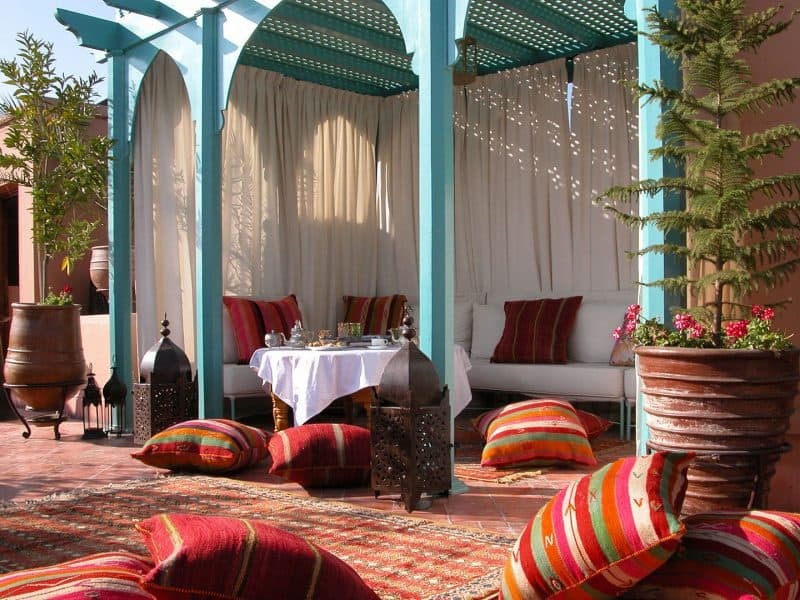 Take a swim in the pool or relax in the shade of the Berber tent while enjoying a refreshing beverage. And on the ground floor, there is a salon where you can eat, watch TV, use a computer, or relax with other guests. There is even a library if you just want to curl up with a good book for a while! The Riad Adore was awarded the TripAdvisor Travellers Choice Award in 2016. Starting prices on rooms range from 140€-250€. 55, Derb Ben Zina, La Kasbah – Medina / Marrakech. The country of Morocco has become known as a popular travel destination for art and music lovers around the world. And if you are an art lover visiting the city of Marrakech, the Al Maha Marrakech might just be the riad of your dreams! This riad is absolutely stunning, combining some of the best traditional Moroccan craftsmanship with contemporary art in such a beautiful way that your eyes will want to drink in every inch of the decor. Total glam is what you’ll experience here. Just look at that picture! This beautiful riad offers you a tranquil place to relax after spending the day out in the busy Medina. You may want to spend a nice day inside, too. Treat yourself to some time in the Hammam spa and take a swim in the heated pool. When you are feeling rested and peaceful, spend time in the library, enjoy drinks while looking at art in the lounge, or gaze at the starry sky while seated in the comfortable central courtyard. The Al Maha Marrakech even offers up delicious food, including breakfast on your private terrace. Simple seasonal meals provide a scrumptious opportunity to feel at home in the exciting Medina. The Al Maha Marrakech offers twelve spacious rooms and suites to choose from, with the starting price on rooms ranging in price from 310€-530€. 7-8 Derb El Mesfioui Kasbah – Medina / Marrakech. 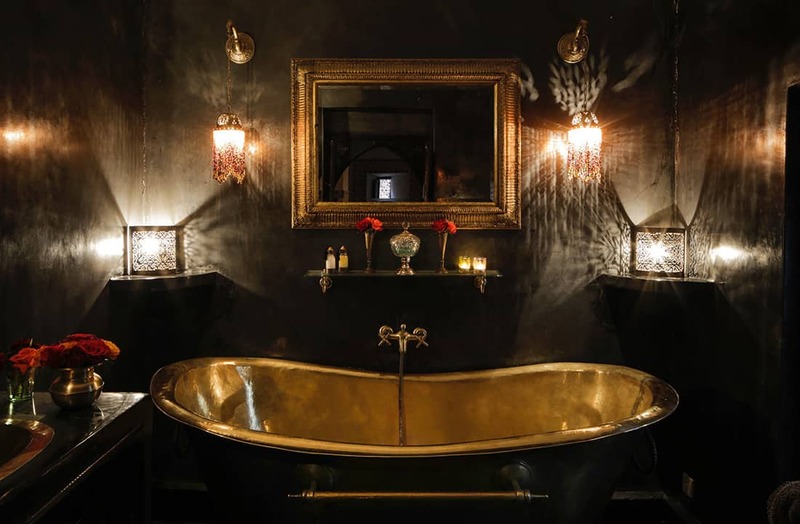 The Dar Jaguar riad is moody and beautiful, with an amazing decor. During the day, the bright colors and patterns create an environment that feels vibrant, yet restful. After dar, the soft lights and lit candles create a magical environment that is perfect for romance. There are five gorgeous rooms to choose from, all of which offer you a luxurious and restful stay. But for travelers who wish to make the most of it, the Dar Jaguar has much more to offer. Your hosts are happy to book you an excursion to take you on an amazing adventure. Whether you are looking to take a camel ride in the desert, visit the breathtaking Ouzoud Waterfalls, or enjoy an unforgettable tour of the city of Marrakech, you’re sure to find something fun. Or simply stay in and enjoy a relaxing massage before sharing a romantic candlelight dinner with your beloved. 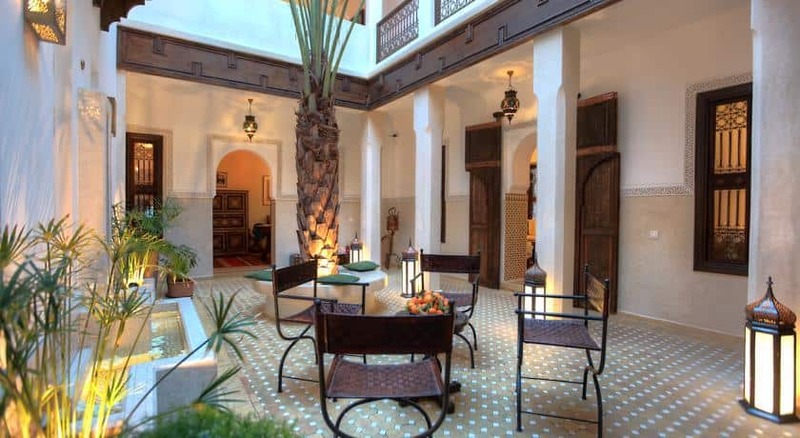 This enchanting riad is also a great location for weddings, with enough rooms to comfortably fit most wedding parties. The Dar Jaguar is a truly special riad. And with only five rooms available, you’ll want to be sure to book your stay early! Starting prices on rooms range from 88€-195€. 51 Derb El Mennabha Kasbah – Medina / Marrakech. Lovely indoor and outdoor areas make the Dar Karma feel resort-like but in the most laid-back, intimate way. Choose from three beautiful rooms or three lovely suites (if you need more space). The decor is attractive and soothing, designed with your comfort and relaxation in mind. 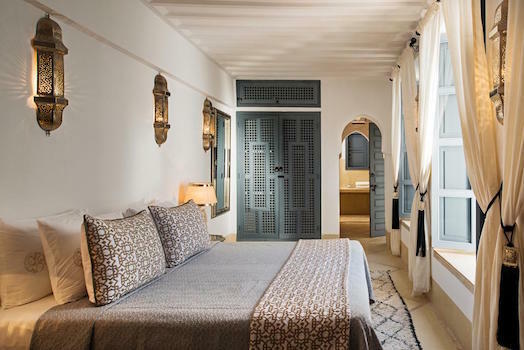 This charming riad is located in the historic heart of the Kasbah district and the building itself is over 100 years, once belonging to the King’s French translator. While there, be sure to spend some time enjoying the two lovely patios, the furnished private terrace, and the amazing views of the Atlas Mountains as you enjoy a meal in the relaxing dining area. And keep in mind, this riad is a beautiful location for weddings and other special events! Starting prices on rooms at the Dar Karma range in price from 90€-230€. 40-41 Rue Bahia, Mellah – Medina / Marrakech. 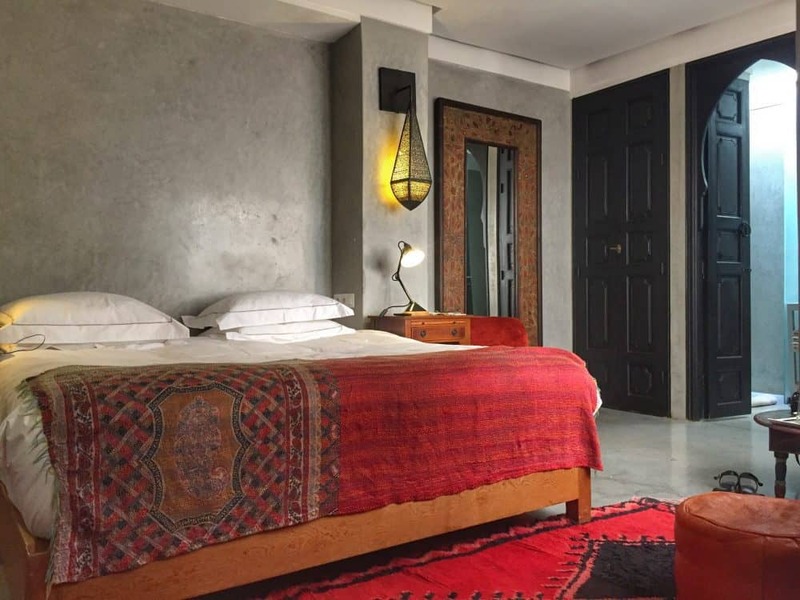 Located in the Mellah – the Jewish quarter of Marrakech, the Riad Suliman is a lovely and welcoming place to enjoy your romantic Moroccan vacation. This beautiful riad features eight comfortable rooms and suites to choose from, along with a large and beautiful open courtyard and rooftop terrace to relax in, as well. Extra perks (offered for a nominal charge) include transportation to and from the airport, delicious meals, relaxing massages, and more! The charming Riad Suliman is located on the southern end of the medina and is only a ten-minute walk to the Jemma el Fna and other wonderful points of interest. Starting prices on rooms and suites range in price from 80€-100€. The dazzling and enchanting Riad Joya is a boutique hotel of pure luxury. With seven exquisite suites to choose from, this beautiful riad offers travelers the best of everything. Located in the heart of the Marrakech Medina, travelers are only a short walk away from some of the most popular locations. And if you just want to stay on site and relax, everything about this gorgeous riad encourages you to put up your feet and unwind in sheer luxury. They also offer a hammam spa experience for visitors looking for ultimate relaxation. When all your walking – or relaxing – leads you to work up an appetite, be sure to enjoy the delicious Moroccan cuisine Riad Joya has to offer. And if Italian or Mediterranean dishes are more your style, they offer them, as well. The Riad Joya is an amazing way to experience Marrakech. Be sure to book your accommodations well in advance. Starting prices on these luxury suites range from 225€-335€. If you wonder what it would be like to stay with a Moroccan family, check out this riad. Located in the Marrakech Medina, Riad Romance is an actual restored 17th-century riad that offers you a truly homey experience. There are three beautiful rooms and one suite to choose from, featuring comfortable beds, private bathrooms, air conditioning, and more. You’ll also love the Mint tea and Moroccan pastries included with your room! In addition to your private quarters, you are welcome to enjoy the rest of this beautiful riad. Spend time enjoying the fireplace in the lounge or visit the roof-top garden where you can soak up the sun while drinking in the beauty of the Atlas mountains. And if that Moroccan sun starts to feel too hot, you’ll love spending time in the beautiful tiled swimming pool. If you are looking for a comfortable home-away-from-home experience, the Riad Romance is a great place to start. Starting prices on room rates range from 90€-160€. The first thing that you will notice about Riad Le Clos des Arts is how absolutely beautiful it is. This stunning establishment was once the home of a wealthy art trader and it became a sanctuary for artists and creative people from all around the world. There are nine beautifully decorated rooms and suites available for your stay and each room features a private bathroom, heating and air conditioning, comfortable bathrobes and bed linens, and more. A delicious breakfast of homemade bread and pastries, yogurt, fruits and more is included with your room rate. For an additional charge, you are welcome to enjoy a delicious dinner each day of your stay, as well! In addition to your private quarters, there are many other lovely areas where you can relax in this gorgeous riad. Whether enjoying the beautiful fireplace in the large living room, hanging out under the shade trees in the courtyard, or relaxing on the rooftop terrace, you’ll find much to discover about this lovely establishment. They are also happy to help you plan other aspects of your vacation, whether you need help booking an excursion, making reservations at a local restaurant or finding transportation to and from the airport, your hosts at Riad Le Clos des Arts are happy to help. 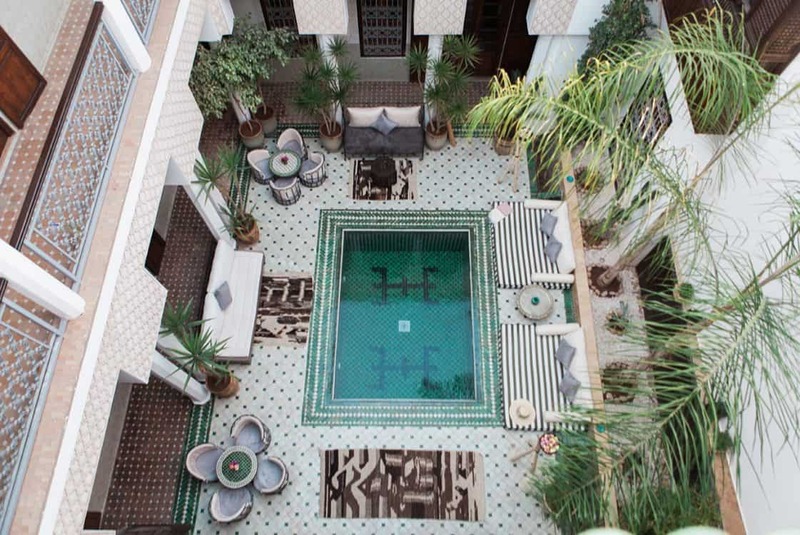 This lovely riad is definitely worth a look as you plan your Moroccan dream vacation. Starting prices on room rates range from 100€ – 220€. We love this riad for its gorgeous decorations and excellent food. Riad Zamzam is an exotic oasis of peace and calm, right in the heart of the busy Marrakech Medina. Choose from three lovely bedrooms and four stunning suites, each one beautifully decorated with traditional Moroccan fabrics, Egyptian linens, and antique Berber carpets. But your accommodations also include all those modern comforts we love, like in-room safes, water and Mint tea, MP3 docking stations, air conditioning, and more! And no matter which room you choose, your room rate includes a delicious breakfast of seasonal fresh fruit, eggs, pastries, and other tantalizing offerings. And if you have food allergies they are very aware and happy to accommodate you. 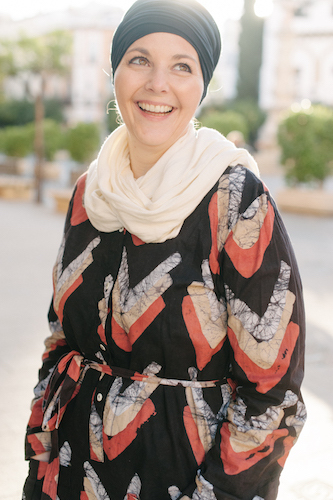 The Riad Zamzam is also happy to help you plan the rest of your Moroccan adventure. Whether you want to take cooking classes, visit museums, or take a day trip outside of Marrakech, their concierge service is there to help you. The relaxing and beautiful rooms and suites at Riad Zamzam range in starting price from 110£-175£. 72 Arset Awzel Bab Doukkala – Medina / Marrakech. Located in a building that is over 100 years old, Riad 72 is a recently renovated treasure. 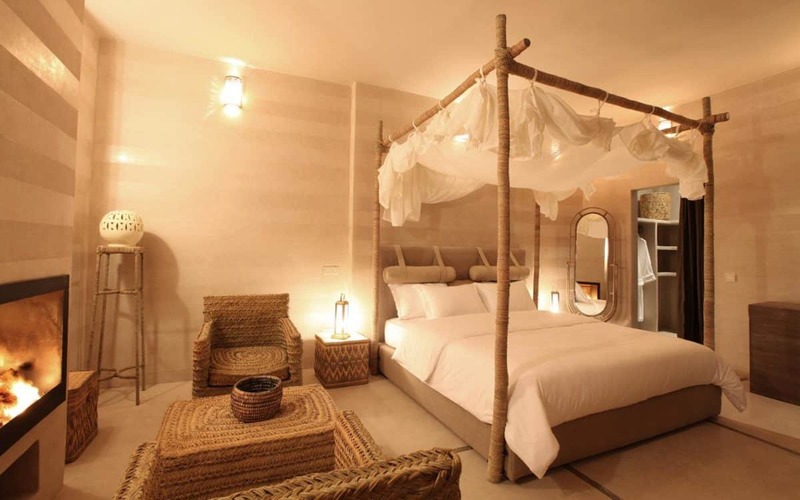 This peaceful and beautiful riad is designed with your comfort and privacy in mind. Choose from two lovely rooms and two luxurious suites, all of which offer high-quality accommodations to make your vacation feel extra special. Located within easy walking distance to the souks, you’ll love how Riad 72 is close enough to enjoy all the fun, yet far enough away to escape the hustle and bustle of the crowds. In addition to your lovely room or suite, Riad 72 also offers a beautiful patio where you can enjoy the enchanting fountain as you eat a delicious meal. Or escape the cold or heat of the sun and relax for a while in the lounge. And you simply cannot beat the view from the terrace of Riad 72, which is the highest terrace in the Marrakech Medina. There are also balconies and a library to welcome you. And for those looking for the ultimate experience in cleanliness and relaxation, there is a traditional hammam. Starting rates for rooms at Riad 72 range from 170-240€. The suite starts at 320€. From the first moment you walk in the door of Riad Dar Anika, your senses will be swept away by the exquisite and opulent surroundings. This upscale boutique riad is located at the entrance to the old souk and offers twelve amazing rooms where you can enjoy the vacation you’ve been dreaming of. Everywhere you look, you are surrounded by beauty. Relax on the rooftop terrace, enjoying a beverage while drinking in the gorgeous views of the city and mountains. Take a swim in the pool or spend time in the Hammam where you can enjoy the unique Moroccan spa experience first-hand. Or simply relax in your tastefully decorated room or suite, taking in the view of the courtyard as you enjoy the delicious breakfast included in the price of your room. Those who are hungry later in the day are in luck, as the Riad Dar Anika offers many scrumptious and tasty treats in their dining room. Riad Dar Anika wants your Moroccan vacation to be everything you have ever dreamed of. Be sure to check out some of their special offers when booking your room, so you can make the most of all they have to offer! Starting prices for rooms and suites range from 300-375€. Derb lhotel, Bab Doukkala – Medina / Marrakech. If you are looking for a truly unique experience during your Moroccan vacation, the Riad Kniza might just be what you are seeing. This very small riad will make you feel like you ’re simply living in a Moroccan home – albeit, one of the nicest homes you’ve ever seen! There are two charming rooms and three exquisite suites to choose from – each filled with beautiful traditional decor that creates an oasis of relaxation in the heart of the busy Medina. There’s even a spa, to enhance your relaxation even further. The gorgeous building dates back to the 18th century and has been completely restored to its original beauty and splendor. The convenient location allows for easy walking access to some of the most popular areas of Marrakech, giving you the perfect place to rest when you are finished exploring. Your host is happy to help you find some of the best places to visit during your stay! Hungry travelers will love the meals served at Riad Kniza. Made with the freshest ingredients, you will experience some of the finest cuisine in town. Riad Kniza is a jewel for the discerning traveler, with starting prices of rooms and suites ranging from 350-510€. 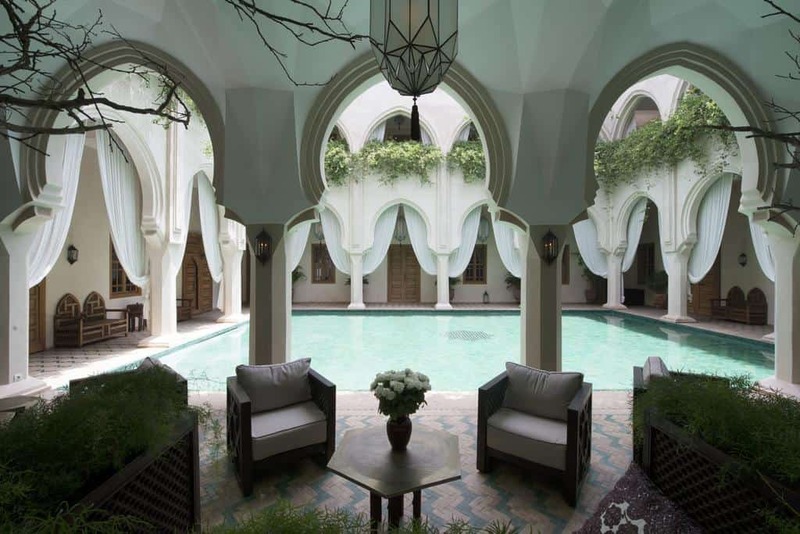 Riad Quara is one of my favorite riads for the luxurious style and small size. The staff is enchanting, as well. Each of their five beautifully appointed rooms offer the utmost in relaxation. Enjoy comfortable beds, a homey seating area, a lovely patio, and amenities such as an in-room safe and dressing gowns for lounging. This lovely riad is conveniently accessible from the airport and train station and a short distance from two amazing eating establishments. And at the front desk, your welcoming hosts can tell you about all the other wonderful perks they offer to help make your vacation truly unique and special. Starting rates for rooms at Riad Quara begin at 75€. Want to make the most of your time in Marrakech and score some great deals while you’re at it? Check out my MarocMama EXCLUSIVE Deals page! Click the banner below! Definitely need to go back to Marrakech soon. The last time I was there was in 1993… Guess things have changed a lot. All of these look gorgeous! We unfortunately booked our stay in marrakech a bit too late and most were already sold out. But we stayed at the Dar Les Cigognes and we loved it!! Gorgeous riad with a rooftop terrace. But for my next visit i’ll definitely try to get one of these you recommend! Thank you! I visited Morocco last year and the country has stayed in my heart. I really hope to return there with my entire family one day and will be using your list for sure.